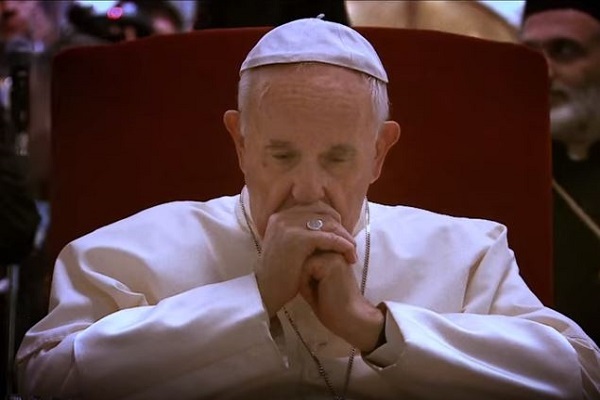 The Vatican TV Center just launched the trailer for the Catholic Church’s 266th pontiff documentary film, A Man of His Word, which is set to release on May 18. There is speculation the film may screen at the Cannes Film Festival. Wim Wenders, the three-time nominee for the Academy Award, is the writer and director. The film aims to show Pope Francis’ journey as pontiff for the past five years. Vatican City gave Wenders unique access to Pope Francis for two years so he could direct the movie. He also got access to Vatican TV archives to use exclusive footage of the pope in the film. The film contains footage of the pope as he travels the world. The film revolves around discussions with the Pope, where he answers questions regarding the family’s role, materialism, inequality, ecology, immigration, social justice, and death. The design of the narrative and visual concepts of the film is in such a way that it connects the pope with the people directly. Pope Francis answers questions from different types of people such as prison inmates, children, refugees, workers, elderly, and farmers to name a few. A source who was part of the film’s production said they got in touch with Cannes and submitted a copy of the movie and the team is waiting to hear if it’s been accepted. As Cannes will be running from May 8th – 19th, the timing of the film will coincide with the public release. Along with the myriad of questions the pope answers, the movie also shows him traveling the world and giving important speeches at places such as the Congress of the United States and the World Holocaust Remembrance Center. The film also contains his vision for the Church, his participation in social justice and environmental issues, and much more. Wim Wenders was in awe when he got to spend time with Pope Francis while making the film. He said the pope was open to all the questions presented before him and was spontaneous and direct in his answers. Also, the pope took the time to shake the hands of all the people involved in the production of the film, regardless of whether they were the assistant, electrician, producer, or director.